Many moms when they find out about hypnosis for childbirth wonder if they should take a live class or do a Home Study course. Let’s start off by checking if you are comparing apples to apples? Each hypnosis for childbirth class has different components. Some have home study courses… set up to be done at HOME. Such as Hypnobabies. Then there are the live course options available. I am VERY familiar with the Hypnobabies Home Study, as I am one of the Hypnobabies Home Study Contacts. Here is what is included in the Hypnobabies Home Study. 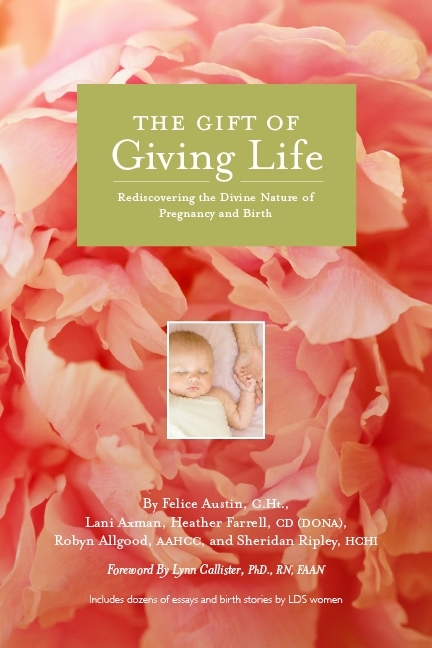 It has 8 hypnosis scripts to prepare for birth, 2 affirmation tracks to help you stay positive and excited about your birth and 2 hypnosis scripts especially for your birth day! Tons of information about childbirth, possible interventions during birth with their pros and cons, nutrition and exercises, hypnotic cues to go deeper relaxed and SO much more. Click here for a more complete description. What about the HypnoBirthing Book as a home study option? What about my Birth Partner? Will he/she be able to be involved in a Home Study Program? Here are the many ways a birth partner can be involved with Hypnobabies. Of course they can read and do all the material every week with you, but these are the things just for them! Class 1 – Birth partner can read Bubble of Peace script to mom. Communication exercises you can do together. Class 4 – Mini script to do with Birth Partner – learning relax cue, every other day ideally. Read the Birth Partners Guide… which has 17 pages of information on how he can help YOU during your birthing time. Class 5 – Section for Birth Partner for helping things progress during birthing time. Maintenance – Instructions on how to do birth rehearsals with Birth Partner. If you have a reluctant birth partner, join the Yahoo group for great ideas of helping them get more excited and supportive about hypnosis for childbirth. I teach Hypnobabies live classes so I am very familiar with it. 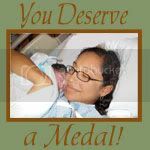 It is a very complete hypnosis for childbirth program. It has 8 hypnosis scripts to prepare for birth with 5 done live in class (with the scripts to practice them more at home), 2 affirmation tracks to help you stay positive and excited about your birth and 2 hypnosis scripts especially for your birth day! A LOT of information about childbirth, possible interventions during birth with their pros and cons, nutrition and exercises, hypnotic cues to go deeper relaxed and SO much more. Here is the course outline if you want to see all that is included. The parents who take my course all feel very prepared for their births and are happy to have an instructor to help guide them through learning their hypnotic tools they can use on their own during birth. Our Birth Rehersal is a highlight of each class series. It gives the mom and birth partner to see how it will all work together as we walk through a practice “birth” using all their tools. Another great benefit of having an instructor is they are usually very familiar with all the wonderful resources in the area for pregnant moms. For example, they can tell you which care providers are truly supportive of natural birth. I took the live HypnoBirthing class 7 years ago and the live Hypnobabies class 2 years ago. Here is a link to my comparison of the two from my experience. I do not personally know if there have been changes to the HypnoBirthing classes recently, so you should do your own research on this. Here is a birth story from Jennifer who used HypnoBirthing with her first baby and it worked well for her at that birth. Jake’s Birth Story. Taking a course designed by a Hypno-therapist. This is an option for some people. Make sure the hypno-therapist is very familiar with childbirth. Here is a great article to read to get ideas of what a good childbirth hypnosis program should include. Ok now that you know more about some of your options for both you can figure out which is best for you. Decide what you want in a course in general. Hypnosis tools alone? Childbirth information and hypnosis tools? Which of these options would fill that need? What are your choices? If there are live course options in your area. What tools and information do they include? Do the class times fit into your schedule? Does the cost fit into your budget? If there are no live Hypnobabies classes in your area or if the live classes in your area don’t include all the information and tools you want, than the Hypnobabies Home Study is a great option. It is very complete and moms have great success in using it. Do you want to “talk” to other moms using Hypnobabies or other hypnosis for childbirth methods and get their input? Visit the Forums on the Hypnobabies Site. Are you lucky enough to live close to a Hypnobabies Instructor? Woo Hoo! Most moms who use Hypnobabies are doing the Home Study version simply because they do not live near a Hypnobabies Instructor, so they don’t have a choice. I think if you have an instructor near you and it works with your schedule you should take full advantage of that. Take the live course, you will fully enjoy it and be very prepared for your birth. The live Hypnobabies class does have more materials and information in it than the Home Study version. (You can see a comparison of a Live Hypnobabies Class to a Hypnobabies Home Study here.) Another great benefit of the live class is having an instructor to guide you through live scripts and practices. The Birth Rehearsal itself is so valuable. It really is what works best for you. I loved taking a live class, having an real live person to help me and my DH learn, other students to talk to, etc. But taking the Home Study course can work for some families with busy schedules. For moms for whom a live Hypnobabies class isn’t an option because there are no local Hypnobabies instructors, the Hypnobabies Home Study is a great option, it is very complete. If there are other live classes in your area, be sure they have all that you want and hope for in a childbirth for hypnosis class. Make sure it is a good fit for you, that it includes all the information and tools you need to be prepared for your upcoming birth. I hope this was helpful in looking at your different options for classes, live or home study! written by, Sheridan Ripley – author of The Top Three Tips to Enjoy Your Birth, Proud VBAC mom, Lactivist, Hypnobabies Instructor, Positive Birth Story Collector, Doula and mom of 3 busy boisterous boys.